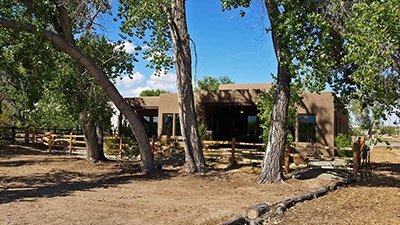 Homes by Joe Boyden is a NM-based and family-owned, premier custom home builder. 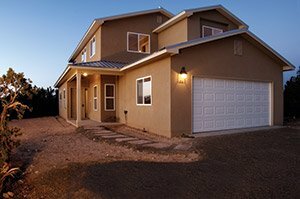 We’ve built homes throughout New Mexico for thousands of satisfied homeowners. We continue to exceed industry standards for energy efficiency and exceed home buyer expectations of what a new custom home should offer and look like. When it comes to building a new house on your property, we know you have options. Rather than allowing the myths about reliability, costs, and infrastructure, delay you from pursuing your dream home, it is important that you learn the solid facts surrounding home construction on your land and why Homes by Joe Boyden is the best choice for helping you to achieve your dreams. When it comes to building the home of your dreams, we know you’re going to have questions about when and how to construct a new home on your privately-owned land. 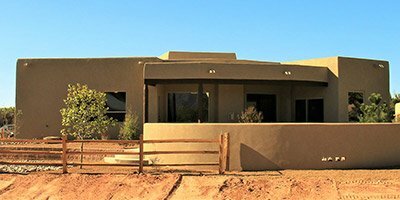 We’ve been at the forefront of building luxury, custom homes for NM residents for over 30 years. With the experience of building more than 2,000 homes, we’ve become experts at balancing new home construction with lot requirements to ensure they are a perfect match. Often, many custom home builders will offer only a handful of inflexible design ideas with little room for deviation, meaning that your options are limited to a templated design. We believe each home should be as unique as the homeowner. Every detail – from each appliance to every bathroom fixture and everything in between – can determine the difference between having a unique, self-inspired home and having a cookie-cutter house that sacrifices utility for “the easy way”. Homes by Joe Boyden offers customization at every level. Whether you choose to build from a unique set of drawings or from one of our optimized floor plans, we offer total flexibility, and the ability to have your home designed your way. Joe is experienced in managing any level of design, development, and implementation that is required of your new home. In the past, building a new home meant making trade-offs when it comes to energy efficiency and steps needed to build an environmentally-friendly home, even if it saved considerable dollars on your utility and electricity costs over time. Today, there are still home builders who do not include, or even offer, certain amenities that could benefit the homeowner’s bottom line and their family’s well-being. Homes by Joe Boyden recognizes that home ownership includes costs associated with energy and utility bills, as well as the annual costs required to keep a home in optimal shape for years to come. We believe that with our weather and climate, an exceptionally built, modern home must cover all needs for the full life of the home. Homes by Joe Boyden requires that every single custom-built home be built, verified, and exceed Energy Star specifications. This means that your next home isn’t simply eco-friendly, but it is constructed with your family’s heath and your financial bottom line in mind. We offer appliances that won’t wreak havoc on your yearly energy costs. We make sure that insulation and moisture control systems are in place and continue to prevent unnecessary costs in the summer and winter months. When choosing a builder, it’s wise to judge beyond the look of their homes. It is important to know what steps are taken to processes are in place inside and out to ensure quality construction. From the wiring to the insulation, a meticulous, attention-to-detail approach is vital. Joe doesn’t just build homes to meet the basic, requisite codes set forth by municipalities and HOA, our standards are set much higher because we choose to build the best home possible for our homeowners. That is why we voluntarily participate in the NM Green Build Program. Participation in this program means an independent inspector is present at your home site to audit and verify the construction of your home with an extensive check list. Whether you’re looking to build a new home out in the East Mountains or somewhere closer to town, or right in the middle of the city, there are a lot of questions that will need to be addressed before the shovels ever break ground. Permits will need to be produced, utilities will need to be realized, determination of flood plain status, and the components of your geographic topography will be required. All of these issues, including site evaluation and logistical planning can be handled smoothly if, and only if, you have the right builder. When you build with Homes by Joe Boyden, Joe will visit your property and assist you with the numerous aspects that go into building a home based on your unique situation. Because conditions vary based on topography, soil, water, and construction-specific requirements, we perform a full examination of conditions to make sure that pre-construction preparations are done right the first time.